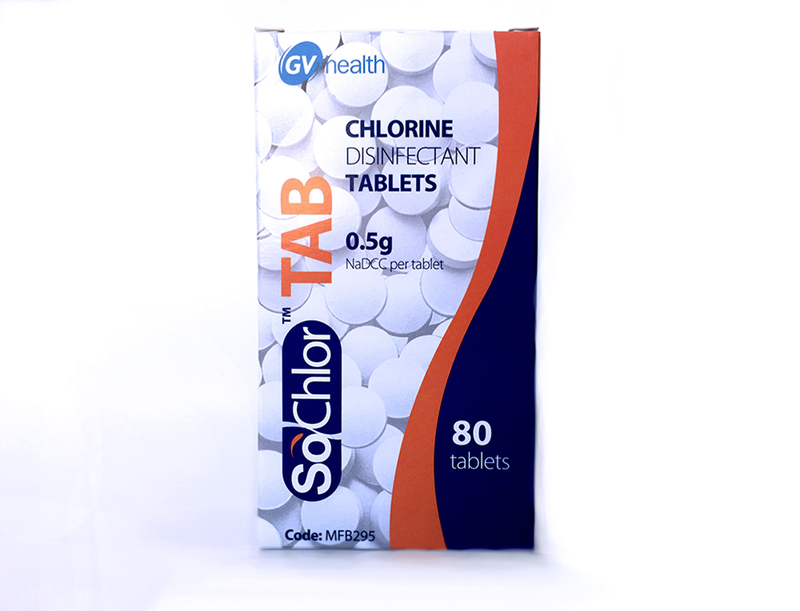 SoChlor TAB 0.5g foil strip chlorine disinfectant tablets are the most portable, safe and convenient way to ensure you have access to SoChlor at all times. Ideal for making small quantities of chlorine disinfectant in any location. The factory sealed foil wrapper ensures that tablets remain fully protected until required. SoChlor TAB soluble chlorine disinfectant tablets dilute with water to produce chlorine solutions for disinfection.